The Giant Sun-ray Gun of Death? After Germany surrendered in May of 1945, many previously unknown things became public knowledge. Among their many schemes, they planned to build a rocket-assisted artillery shell (with a range exceeding most standard artillery of the day by 50%), a “tiger tank” that could shoot rockets weighing almost 800 pounds more than 6 miles and a rocket-like contraption capable of shooting chain-like projectiles more than 100 miles. However, none of those listed above have anything on this, a giant sun-ray gun, set to just hang out in space. This particular blueprint became common knowledge after being covered in an issue of “Life” magazine that dates back to 1945. 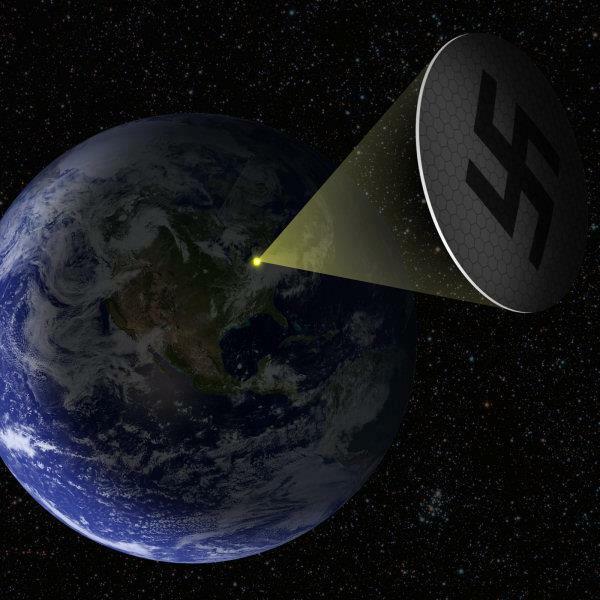 It was revealed then, that during World War II, Hitler and German scientists (Hermann Oberth, specifically) had began developing a “sun gun,” which essentially mimicked the logistics of using a magnifying glass and the sun’s rays to start fire to (or to burn) ants. Only Hitler’s plan for it was far more sinister (much to the dismay of Obserth, who initially developed the idea in hopes of producing energy from the heat), as the Nazi’s planned to kill human beings with it, giving them the power to immobilize enemies from a vast distance with little to no death on their end. According to “Life,” the sun gun consisted of a giant, mile-sized mirror that could fixate the sun’s rays to an exact point on the Earth’s surface (or the oceans). 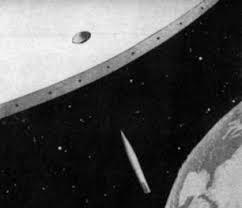 Such a contraption was planned to be used to disintegrate an enemy city from its station that would lie some 22,236 miles from the Earth’s surface beyond LEO (Low Earth Orbit) in geosynchronous orbit from Earth — where our satellites operate. Of course, their idea was far from practical and (thankfully) never came to pass. Most Distant Supernova Remnant Observed..